The Members of the Portfolio Committee on Health met to adopt its report on the state of health care services in South Africa, and the South African Human Rights Commission’s (SAHRC’s) report on its investigation into the oncology service in KwaZulu-Natal. The Portfolio Committee’s report covered the presentations made by each of the provinces, the findings and observations of the Committee and the general recommendations made from all the findings. The second report was based on the response of the KwaZulu-Natal Provincial Department of Health, the findings and observations of the Committee, and its recommendations. Grammatical and logical errors were corrected, and there was limited debate on the recommendations. The two reports were adopted with amendments. The minutes of some of the Committee’s meetings of 2016 were also considered and adopted. The Chairperson started the meeting with consideration of the South African Human Rights Commission (SAHRC) report. She said adoption would follow the usual process, with the pages being called out and Members pointing out their observations and making corrections to the pages. Mr A Mahlalela (ANC) observed that 'the lack of health care services' written in the first sentence, under the introduction on Page 1, was not correct. He said it should be 'poor health care services'. Dr P Maesela (ANC) said the Commission had stated that there were no health care services in KZN. Chairperson said the services were available in the province, but they were not evenly distributed. 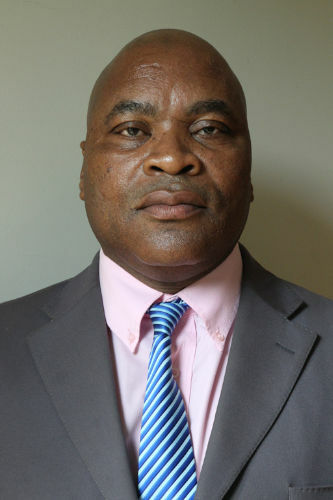 Dr Maesela said although the Committee understood that there were services which were unevenly distributed in the province, the HRC had reported that there were no health care services in the province. The Chairperson said Dr Maesela’s submission indicated that he agreed in principle, and that the phrase should be changed to ‘poor health care services’. Mr Mahlalela observed that the sentence on Page 15, in Section 4.2, reflected the concerns and questions of Committee Members, but said that the questions and concerns of Members could not be written as an observation or a finding. He said the province responded to the question and the response could be included if the Committee observed or found anything in the responses. The same rule applied to Section 4.6. The Committee should write whatever was observed as a weakness from the response of the province. The Chairperson asked Mr Mahlalela to propose how it should be written. She asked if another recommendation should be included, or if the sentence should be reconstructed. Mr Mahlalela said the sentence should be reconstructed. Dr Maesela said it should be written that staff were leaving due to non-conducive working conditions. The Chairperson said Dr Maesela should reconstruct the sentence and other members would look at how it had been reconstructed towards the end of the meeting. She asked Mr Mahlalela to state what should be written in Section 4.6. Mr Mahlalela said what should be written was that there had been an observation that the early warning system was not working. Dr S Thembekwayo (EFF) noted that Section 4.5 was also written in the same manner as Sections 4.2 and 4.6. Mr Mahlalela said the phrase at the end of the sentence in Section 4.5 was not necessary. The sentence should end on ‘’vacant’, while the phrase ‘and questioned the state of affairs in this regard,’ should be deleted. The Chairperson agreed that the phrase should be deleted. Mr Mahlalela pointed out that the first sentence on Page 15, under Section 4, had captured the information repeated at the beginning of Section 4.7. It stated that ‘the committee noted the following:’, therefore the phrase, ‘the Committee observed,’ at the beginning of Section 4.7 should be deleted. Mr T Nkonzo (ANC) agreed that ‘the committee observed' should be deleted. Mr Mahlalela said that an important observation on Page 16 had been omitted. The lack of a Service Level Agreement (SLA), which hindered the prompt servicing of the equipment, should be included in the observations. The Chairperson asked Mr Mahlalela to construct his observation about the lack of an SLA so that it could be added to the observations, and also to find a recommendation for it. The Chairperson said there was a problem with the construction of Section 5.6 on Page 16. Dr Maesela said there was a need to reconstruct Section 4.6, and the recommendation in Section 5.6 needed to align with the finding in 4.6. Mr Mahlalela said there was no need for the Section’s number, under findings and recommendations, to tally because there might be more recommendations than findings. Dr Maesela agreed with Mr Mahlalela on his submission. Mr Mahlalela observed that Page 16, Section 5.7, read: ‘KZNDoH ensures that key senior management positions are filled’. He said the interest of the Committee was not only on filling the positions, but also on the retaining the staff. He said the Committee should give a stipulated timeline for the Department to execute the recommendations of the Committee. That was important so that the Department could provide progress reports to the Committee. The Chairperson requested that Members move the adoption of the report. Mr Nkonzo moved the motion for the adoption of the report, with amendments. Ms C Adams (ANC) seconded. The Chairperson asked Members to consider the report on the state of healthcare services in South Africa. Dr Thembekwayo asked if the ‘identification uniforms and badges’ on the last bullet point, under Section 2.1.9 on Page 2, was correct. The Chairperson said it was correct -- it meant that the uniform was meant for the identification of community health workers. Mr Mahlalela said the statement that the Committee sought clarity, as indicated in 2.1.20 on Page 4, was not correct because under ‘observations,’ it should reflect what the Committee had discovered and not the questions asked by the Committee or concerns. Dr Maesela agreed with Mr Mahlalela that observations should be written as facts, not concerns. The Chairperson said the same corrections as those in Section 2.1.20 should be applied to Sections 2.1.15 to 2.1.21. Mr Mahlalela observed that Sections 2.2.12 to 2.2.15 had errors similar to those in Section 2.1.20, and should be corrected in line with the previous corrections made. The Committee should state what had been observed. Dr Maesela said the Committee should make a recommendation that the Provinces should make sufficient effort to achieve a clean audit. Ms C Ndaba (ANC) added that the Committee must be specific on the provinces that needed to achieve a clean audit, although she said Dr Maesela was ahead of other Members because recommendations were on Page 16, and it should be included when the process advanced to Page 16. Mr Mahlalela said one of the observations for North West Province should be about the regression from doing well and the irregular expenditure incurred. The Chairperson agreed with Mr Mahlalela. Dr Maesela said one of the things observed in Western Cape, indicated in the report, was that systems ran smoothly -- but that was not the case in reality. The Chairperson asked Dr Maesela to direct the Committee to the aspect of the report that indicated the reality that he was referring to. Ms Ndaba said the report could be based only the reports from the provinces or oversight, but the Committee had not conducted oversight in the Western Cape. The Chairperson said the Committee must focus on the report as presented by the provinces, since the Committee had not conducted oversight in the Western Cape province. Ms L James (DA) said the Committee needed to do its oversight to confirm what the provinces said during their presentations and in their reports. The Chairperson said the recommendation by Dr Maesela should be included on Page 16, and the provinces concerned must also be indicated, as recommended by Ms Ndaba. Mr Mahlelela said the point made in Section 3.4 of the recommendation, should cover the recommendation proposed by Dr Maesela. The Chairperson asked Dr Maesela if the recommendation made in Section 3.4 covered the recommendation he had earlier proposed for the financial audit status of the provinces. Dr Maesela said the recommendation was covered partially, but the sentence was not strong enough as it should insist that a clean audit must be achieved by the provinces, since this was not an impossible request. It must be stated that they should get clean audit. Mr Mahlalela said the recommendation in Section 3.4 was sufficient, because it specified that the provinces had to deal with accruals and irregular expenditure, and if these were dealt with, the Provinces would be able to achieve a clean audit. Mr Nkonzo said it was stated in Section 3.10 that the Department should engage the national and provincial treasuries. He said this task must be assigned to someone -- in this case, the Minister. Mr Mahlalela said the recommendations were to the Minister, so it could not be said that the Minister should engage the National Department. However, it should be said that the Minister of Health must engage the National Treasury. Mr W Maphanga (ANC) moved that the report be adopted, with amendments. Mr Mahlalela seconded the motion. Ms Ndaba said there was a need to help one another. A platform should be created where observations that were outside the agenda or report could be addressed. It was important to propose the motion to discuss the various issues that related to how the Parliamentary work was done, and as a way of handling other issues that fell outside the issues deliberated. Mr Mahlalela said there were no joint responsibilities, but the constitution provided only for concurrent responsibilities. All money spent was appropriated by the legislature, and once appropriated it became the responsibility of the provinces to account for the money. The problems of irregular expenditure and other kinds of problems were related to the equitable share, which was allocated according to the constitution. To do away with equitable share, the constitution would have to be amended and so that the provinces were removed, but even if they were removed, the problem would recur if the money had to go to the municipalities. What was important was to strengthen the capacity of the state. All the departments in the Western Cape had received unqualified audits because it had strengthened its capacity. He said the sector must look inward to ensure that all the people deployed in any area had the capacity to deliver on their mandates. The minutes of 7 September, 11 October, 12 October, 25 October, 9 November and 23 November -- all of them 2016 meetings -- were adopted with very minimal changes. Mr Mahlalela asked if the Committee did not deem it necessary to do a follow-up after a report. He asked if there were no ways of the Committee taking ownership of such issues as a part of its oversight function. Ms Ndaba said it was important for the Committee to compile reports on the presentation of the entities so that the Committee could make a follow up. 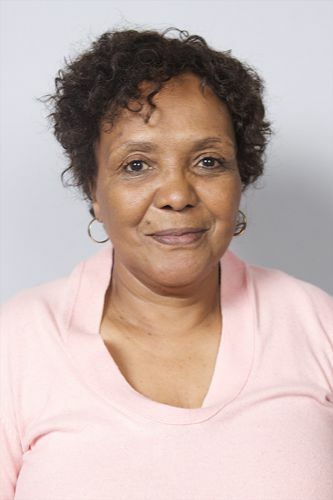 Ms Vuyokazi Majalamba, Committee Secretary, said the entities reported as part of the budget vote or the budgetary review process, and their reports were included in such reports prepared by the Committee. If the Committee wanted the office to compile a report based on presentations, it must state so and it would be done going forward. Dr Maesela said he agreed that a day should be set aside to look into the presentation and make a follow-up. The Chairperson said the points made by Members had been noted. 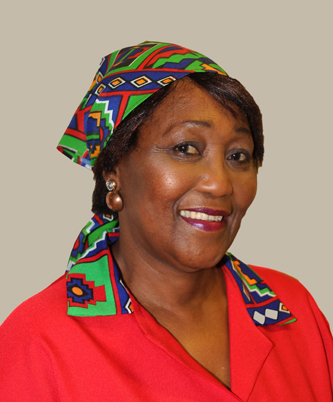 She added that Ms Ndaba had raised an important point -- that Committee Members should help one another. She said emphasis should not be on the amendment of the constitution, because it was a difficult process, but it was important to dwell on the areas within the immediate ability of the sector.